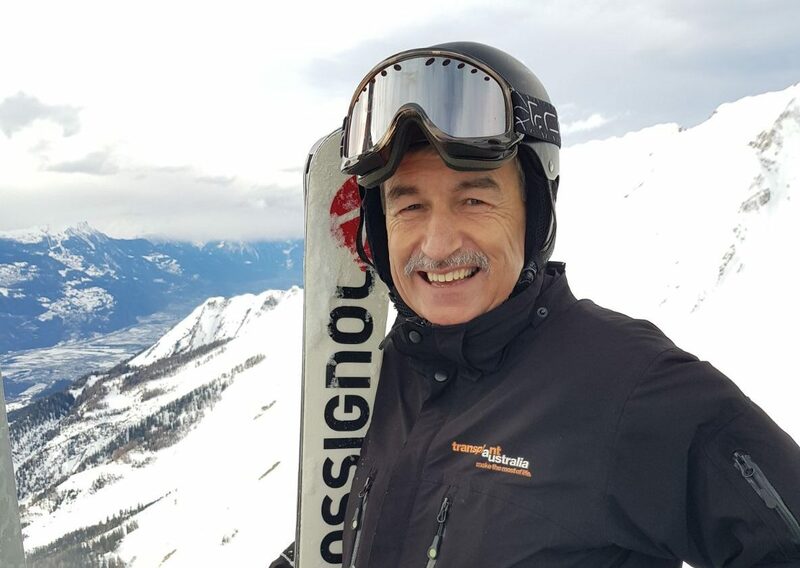 Mark is representing Australia at the 10th World Transplant Winter Games in Anzere in the Swiss Alps, some 2500 meters above sea level. Almost 200 competitors from 24 countries including Great Britain, the USA, many European countries and smaller countries such as Nepal and Kazakhstan are in Switzerland for the week-long celebration of the success of organ and tissue donation. Participants include those with heart, lung, liver, kidney, pancreas and bone marrow transplants. It is a real challenge for the 59-year-old who celebrates the 10th anniversary of his heart transplant next month. Mark (third from right) with his wife Ailsa and friends from Sweden and Norway who have travelled to support his bid to win gold. It was always that way. At 32 Mark was diagnosed with a life-threatening heart condition. Three heart attacks, five pacemakers and 17 years later his heart tissue was damaged to such an extent only a transplant would save him. He received the call from The Alfred Hospital 10 years ago and now he is determined to celebrate every moment, including the World Transplant Winter Games with his wife Ailsa. Transplant Australia CEO and President of the World Transplant Games Federation, Chris Thomas, said Mark was a shining example of a transplant recipient who took his rehabilitation and ongoing health seriously. “I am very privileged to be here in Anzere and to see Mark racing down the ski slopes in the slalom events is truly inspiring. Just coping with the altitude with a heart transplant is impressive but to be exerting yourself in pursuit of a gold medal is stunning,” Mr Thomas said. Transplant Australia CEO and World Transplant Games Federation President Chris Thomas with the cross country skiing competitors. “He is certainly doing Launceston, Tasmania and Australia proud and is living proof of the importance of discussing organ and tissue donation with your family and singing on to the Australian Organ Donor Register. Becoming an organ donor makes a difference to others and enables them to have some and fulfilled lives.